Amit Puri is the President and CEO of Ingenicomm, Inc. Founded in 2010, Ingenicomm has grown rapidly, and today is a leading provider of mission-critical engineering services and specialized ground system electronics to a broad range of government and commercial aerospace programs. Puri first joined the government contracting community after graduating from college when he found employment with a defense and aerospace government contractor based in Fairfax, Virginia. WashingtonExec recently had the opportunity to interview Puri and discuss his experience with government contracting, the current business climate, and his company, Ingenicomm, Inc.
WashingtonExec: Could you tell us about your background and what made you want to become an entrepreneur? Amit Puri: My first job out of college was for a company called Avtec Systems, a small government contractor set up by former Naval Research Lab employees. When I joined them in 1999, Avtec was doing a lot of work all across the aerospace industry, working with NASA, NOAA, the Air Force, and a handful of international space agencies. My original role at Avtec was to provide ground system engineering support, which was basically a mix between decomposing customer requirements, architecting solutions and providing post-deployment support. As I got to know more and more customers and developed a better understanding of their needs and our products, I found myself doing more business development. Eventually, I switched to a full-time P&L position and wound up running one of the company’s most profitable product lines for a couple of years. Avtec was eventually bought by another company, and the conglomeration of the two was purchased by yet another larger government contractor in 2010. I found working for a new organization with a large company mindset less dynamic than working for Avtec. I had really enjoyed working in the flexible, entrepreneurial environment of a smaller company and decided to go out and start my own small business. That eventually led to several folks leaving Avtec and joining Ingenicomm. With the promise of working with like-minded, talented people, we set out to revolutionize the satellite ground systems market. WashingtonExec: You’ve been in the aerospace industry for more than a decade. How would you say the market has changed since you first entered the industry? Amit Puri: When I first started working in this industry, everybody was building specialized, single-purpose hardware. For example, there might have four or five different systems chained in series together to process a signal, with each system performing a small portion of the needed work. Now, with enterprise infrastructure mindsets everywhere and cloud computing having taken off, the industry is trying to save money by consolidating systems and utilizing software processing that doesn’t require dedicated hardware. This approach has actually worked out well for Ingenicomm, since we’ve focused on building a software-centric and a vendor-agnostic product from the outset; it’s definitely changed how people expect a ground system to be designed. We open our software interface for our customers to write their own user-defined code that evolves into an integrated solution with the software framework. This has also allowed for an opportunity for enhanced government-industry partnership. WashingtonExec: What differentiates your corporate culture from other organizations? Amit Puri: We’re extremely passionate about what we do. As a company, we’ve done a lot to support scientific and exploratory space missions, and we’re driven by a shared vision and sense of purpose; leveraging advanced technologies to unleash innovation for the benefit of mankind. That was our goal when we founded the company, and that goal is communicated to and embraced by everyone who has joined us since then. Our shared passion is one of the key reasons for our success, and a critical element in our overall strategic mindset. WashingtonExec: What do you foresee being the biggest challenge for Ingenicomm in the next five years? 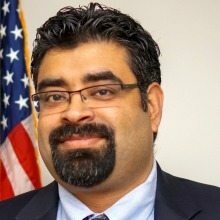 Amit Puri: With government budgets continuing to get cut, particularly in the aerospace and defense sectors, we can no longer exclusively work for the federal government. In the long term, we will shift towards the commercial space industry, which is really starting to take off, especially in terms of providing manned spaceflight systems. We already do some work in the commercial sector, but the key challenge for us will be growing that business and effectively capturing value despite the traditionally lower margins and more competitive landscape. Another factor beginning to emerge is whether the government will move forward and save acquisition costs by awarding exclusive, consolidated contracts to large primes thereby lowering the total number of contracts that need to be executed and managed. We have already seen this effect in the case of GOES-R and JPSS. Alternately, lower dollar budgets and the push to go small business can allow technically competent organizations like our own to thrive since we’re able to provide high-value with low-cost options. Ingenicomm is positioned really well in either case, with large primes as well as our government customers. Amit Puri: My wife and I have an eight month old son, Arjun. If I am not at work, I am at home playing with our son as he grows. It is really an exciting time for us. Also, I’m an avid reader. I have shelves full of business books in my office, and I spend time catching up on new ones as they come out. There’s a lot to be learned from other entrepreneurs’ wisdom. WashingtonExec: So what is your favorite business book? Amit Puri: Well, this is a perplexing question since it often changes for me. Recently, I read “How Stella Saved the Farm” which is a fable describing an organization that is working towards radical innovation and the various challenges they encounter. This resonates so much with what I have seen at Ingenicomm. Now, this book needs to be read in conjunction with “The Other Side of Innovation” where the authors describe the various flavors of innovation and its execution. I had a chance to have extensive conversations with both VG and Chris Trimble and talk with them about the triad of preservation, creation and destruction and how it relates to running innovation projects in an organization.